The intensity and spread of fog is reducing day by day from the Indo Gangetic Plains. The reduction in the intensity can be attributed to the increase in wind speed over the Northwestern Plains. These dry northwesterly winds are blowing at a speed of 15 to 20 kmph which is reducing the thick fog layer. As per Skymet Weather, the fog blanket will further shrink gradually. Similar conditions will prevail for at least three to four days. 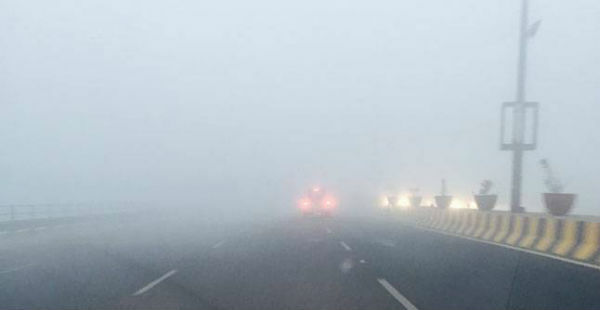 However, dense fog is expected to grip parts of Northeast Uttar Pradesh and northern parts of Bihar. Meanwhile, the remaining parts of Indo Gangetic Plains such as Punjab, Haryana, Delhi, rest of Uttar Pradesh and Bihar are likely to observe shallow fog. In fact, the visibility will improve. Thus, no hindrance in road, rail, and air traffic is expected in these areas. The maximum and minimum temperatures will also witness an increase over the Indo Gangetic Plains, right from Punjab to Bihar. 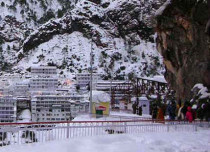 Moreover, the cold day conditions persisting in Punjab, East Uttar Pradesh, and Bihar will abate. The weather is expected become sunny over the above-mentioned areas. However, the sky would be cloudy in Delhi, Punjab, and Haryana. It is anticipated that after two to three days, the intensity of fog will increase once again. This condition is expected due to the passage of the persisting Western Disturbance and the upcoming successive Western Disturbance. In fact, the wind speed will also decrease. Talking about Northeast India, moderate to shallow fog will occur over Assam and Meghalaya.